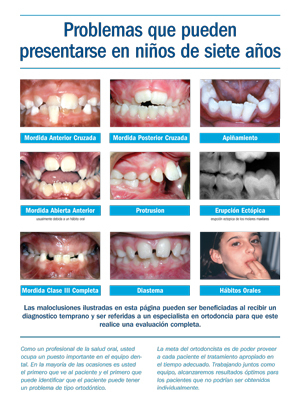 Entitled "La Primera Visita Ortodoncia De Tu Nino: No Despues De Los 7 Anos," this brochure addresses the benefits of early diagnosis and treatment. AAOPAC contributions can only be acceptd from a personal credit card account. 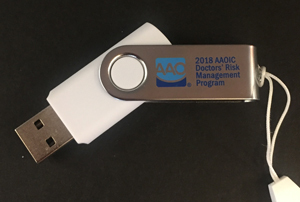 AAOPAC contributions can only be accepted from a personal credit card account. 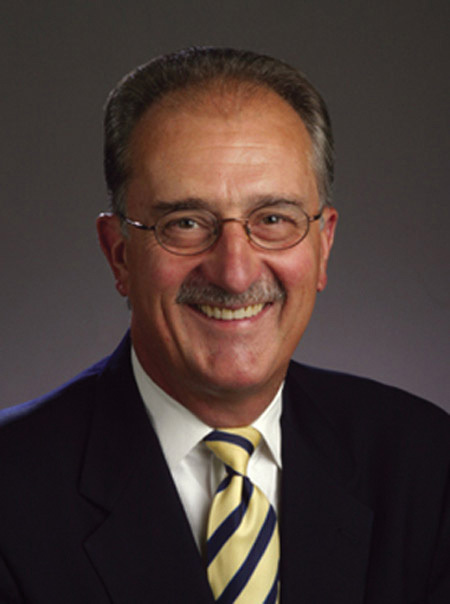 Entitled "Getting the Best Results from Your Orthodontic Treatment: Caring for Yourself and Your Braces." Show adult patients the oral hygiene steps to necessary to a successful treatment outcome. 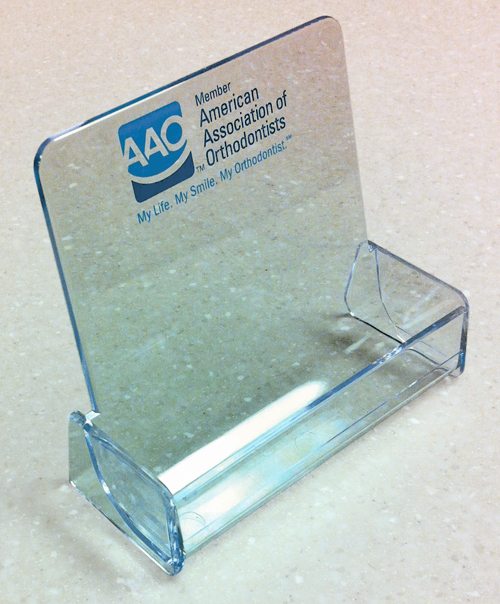 This sturdy clear acrylic card holder has a blue logo printed on the back panel. Fits standard-sized business cards. 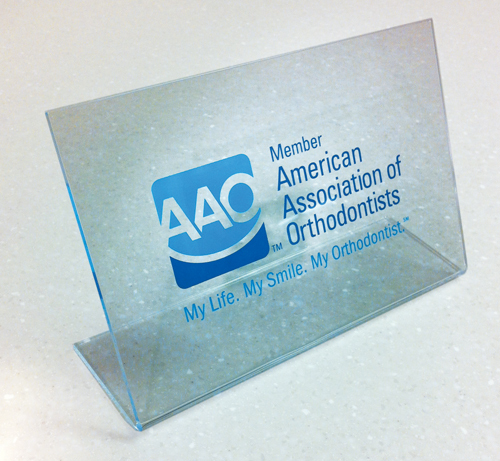 Blue AAO logo on clear durable standing plastic sign for use in your reception room, at your registration window, or in your treatment rooms. Measures 4" x 5". Adjunctive periodontal procedures may contribute to more stable or aesthetic results. 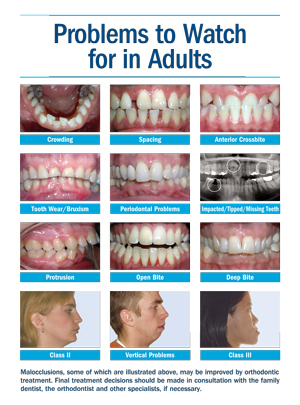 Let this brochure teach patients/parents about frenectomies and gingivoplasties and save chairside time. School nurses sometimes face orthodontic emergencies in their clinics. 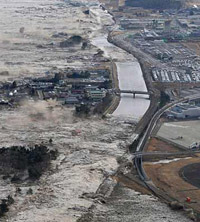 This one-page information sheet addresses how to handle such situations, useful supplies to have on hand, and more. Use this presentation in classroom presentation to students in grades 3-8. 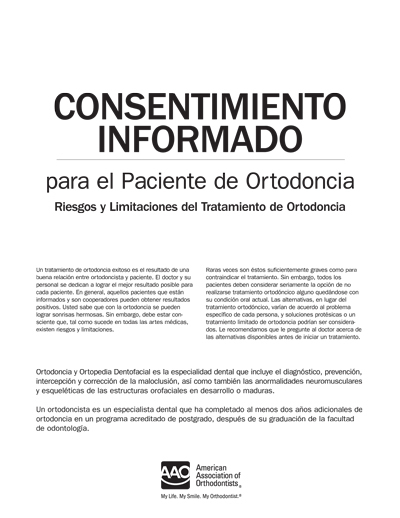 It addresses what an orthodontist is and what orthodontic treatment is like. Running time is 10 minutes. Use this PC-compatible Powerpoint presentation in classroom presentations to students in grades 3-8. 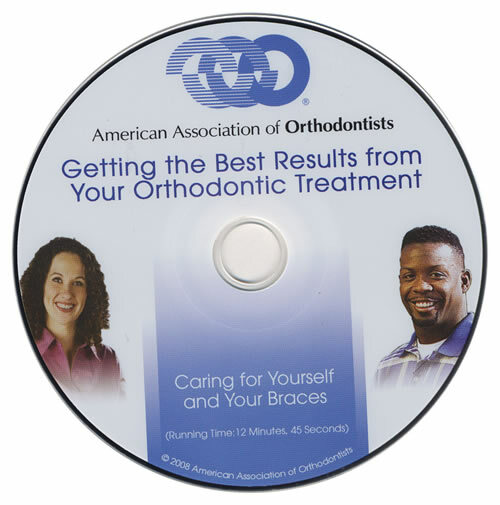 It addresses what an orthodontist is and what orthodontic treatment is like. 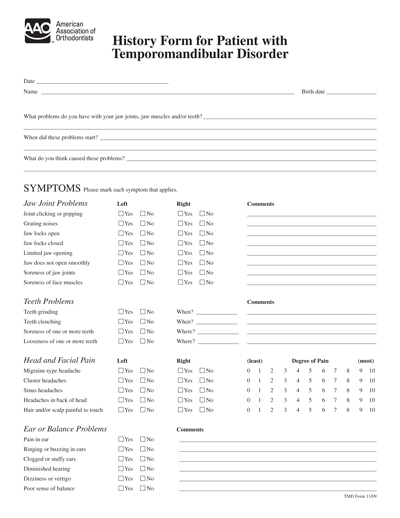 This history form for patients with temporomandibular disorder may be used in conjunction with the Medical History Form. 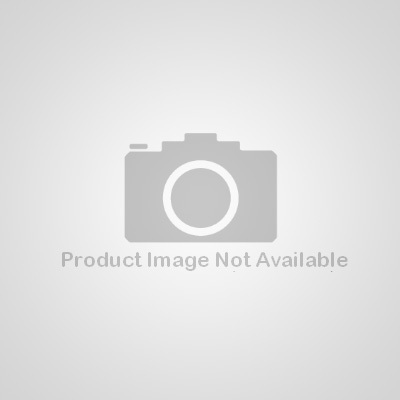 It provides a more comprehensive overview of the patient's history of TMD. 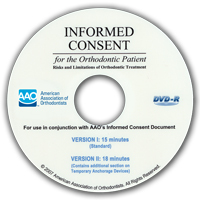 Developed to complement the Informed Consent Brochure, this DVD presents the benefits of orthodontics, the nature and purpose of procedures, risks and possible alternatives. 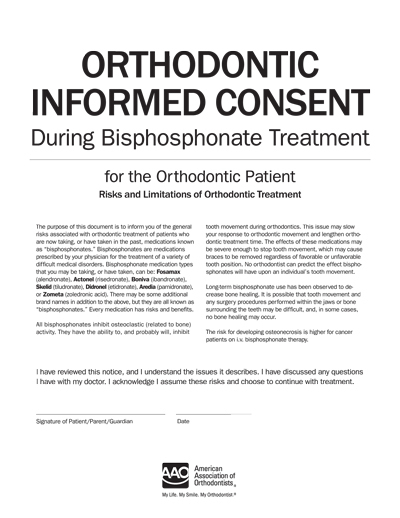 Use this guide to educate dental professionals about orthodontic problems that occur in adults. 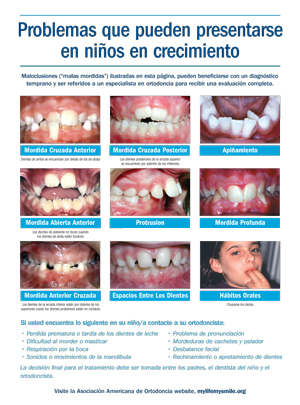 The guide features 12 photos of adult malocclusions and other helpful information. 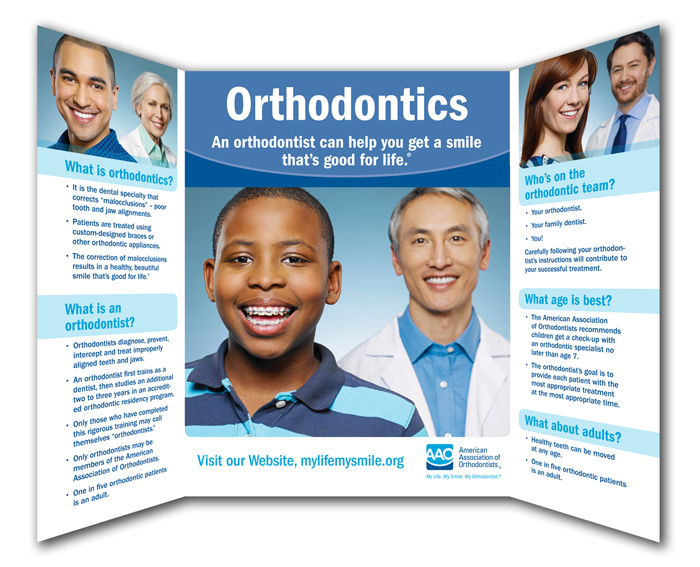 Promotes orthodontics as a rewarding career option. Covers necessary education, skills, goals and personal characteristics. 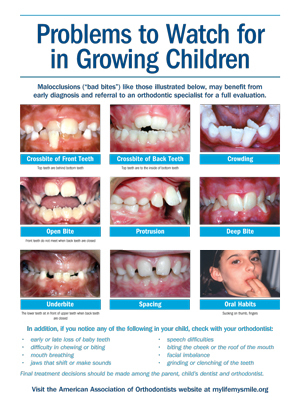 This concise educational flyer covers nine common malocclusions that may benefit from early diagnosis and referral to an orthodontic specialist for a full evaluation. Also available in Spanish. 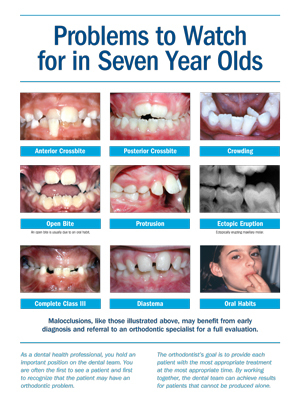 This concise educational flyer covers nine common malocclusions that may benefit from early diagnosis and referral to an orthodontic specialist for a full evaluation. 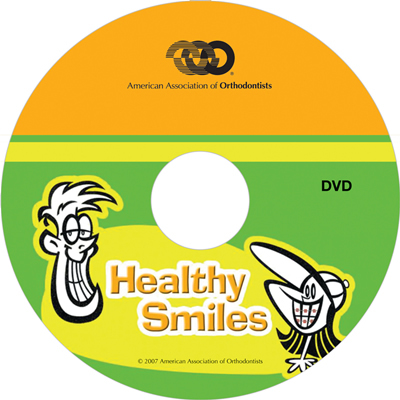 Educate dentists, dental hygienists and pediatricians with this educational tool that shows nine common problems in 7-year-olds and serves as a referral reminder. Also available in Spanish. Educate dentists, dental hygienists and pediatricians with this educational tool that shows nine common problems in 7-year-olds and serves as a referral reminder. 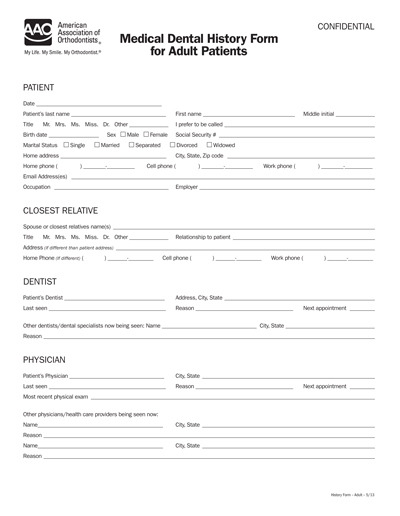 Provides formal documentation of a patient's request for release of records. 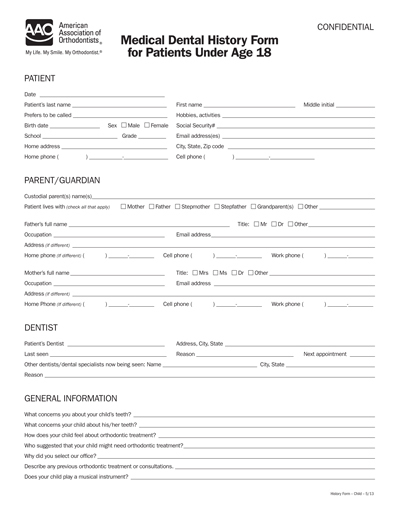 Useful for referring patients to other healthcare providers for services necessary to the successful completion of treatment. 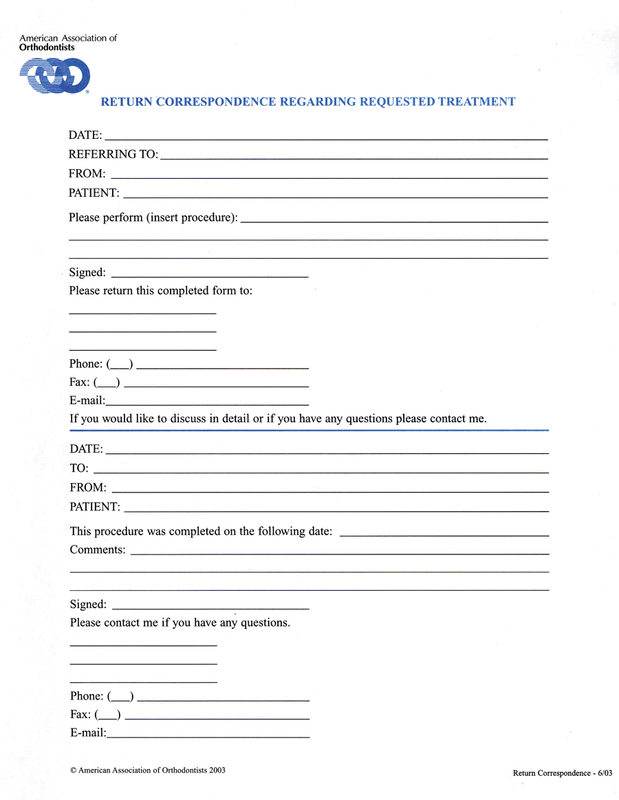 The form documents a thorough description of the requested procedure. 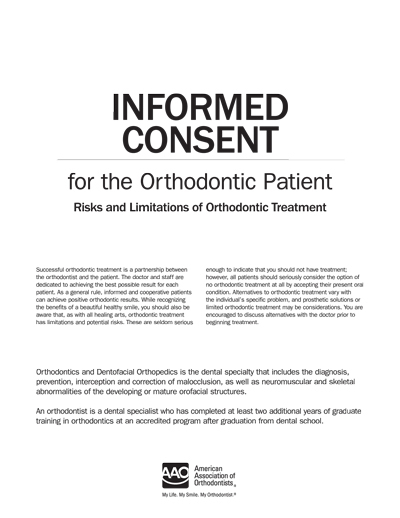 Outlines the many different career opportunities within orthodontics and gives examples of typical responsibilities, education requirements and necessary skills. Sold in packs of 50. 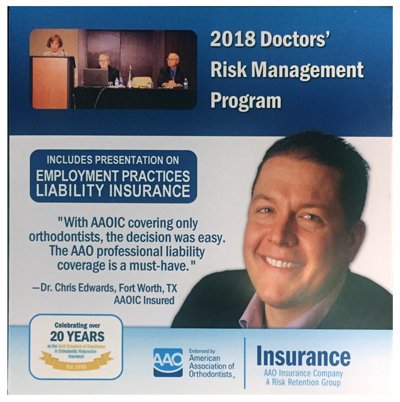 Sized to sit on a table, this display board creates a professional backdrop for speaking engagements and answers common questions about orthodontics. The display is 46" wide by 30" tall.